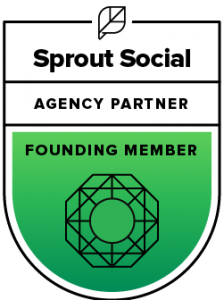 Engaging your brand influencers in one successful influencer marketing campaign after another is no easy feat. I see so many companies doing this the wrong way that I thought I’d give some tips on doing it right. 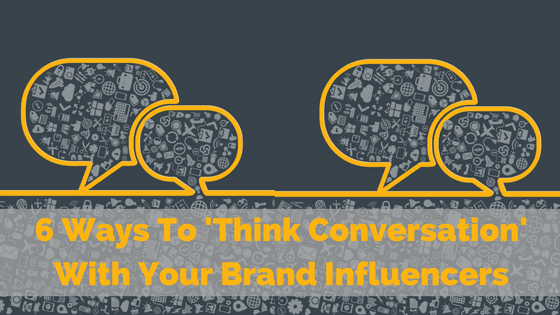 At B Squared, we know the key to long-lasting relationships with brand influencers is all about thinking conversation. 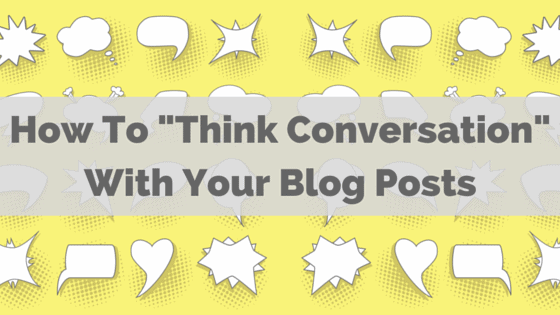 Does your blogging strategy have you “talking” at, to, or with your intended audience? We often look at blogging as a way to push information out there, or to pull potential leads into our pipeline; in doing that, we leave our audience completely out of the process. Even if your goal is to push something out, or pull someone in, by thinking conversation when writing your blogging strategy, you can more easily make a connection with your readers. Here are five ways to do that. I know what you’re thinking. How can a company with a tagline of “Think Conversation, Not Campaign™” have a headline like that?! 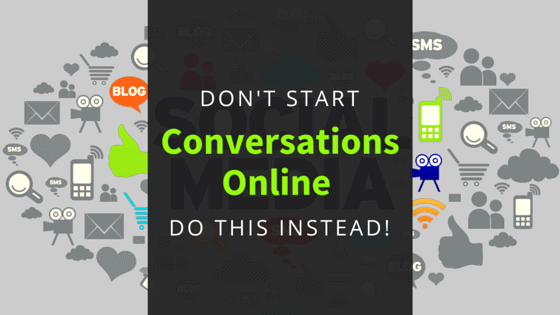 Yes, at B Squared Media we’re always pushing you to start conversations, to focus on the dialogue more than the data. But when you’re too focused on starting conversations, you may lose out on other critical conversational strategies. Storytelling without value is just that, the telling of stories. My grandma tells wonderful stories. Do you think she’s gaining leads and making deals from this ability? Nope. 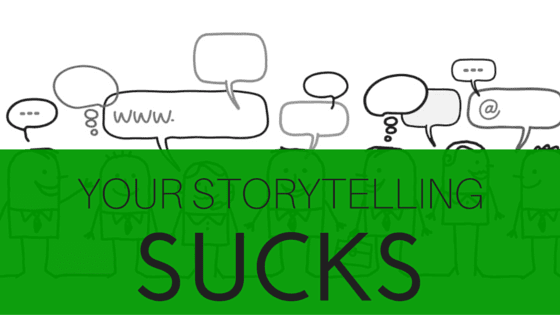 Perhaps your business is telling great stories, too. While it’s wonderful to talk about yourself, your story about customer service, or your family story about overcoming odds, what you really have to ask yourself when it comes to effective storytelling is what your audience is also asking: “What’s in it for me?” Allow me to give you some scenarios to show you what I mean, and at the end, I hope you’ll have an ah-ha moment about your content being a conversation (or not). Dare I bring up the fact that Valentine’s Day is this weekend? Oh sure, why not?! Regardless of whether you choose to acknowledge the holiday, it’s still going to take place. Many kids love Valentine’s Day because they often exchange silly paper cards and candy with their friends and classmates. As we grow older, we usually give and receive fewer (if any) Valentine’s gifts. Either way, as adults we associate the holiday with romantic love and may even celebrate it accordingly. In my opinion though, true romance can and should be celebrated every day. 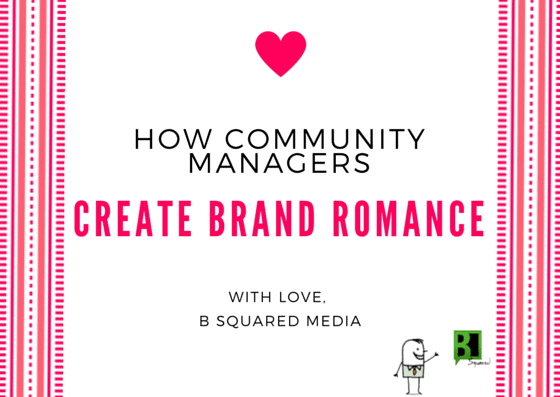 Many successful community managers also believe in the “everyday” approach for creating and sharing their brand romance.